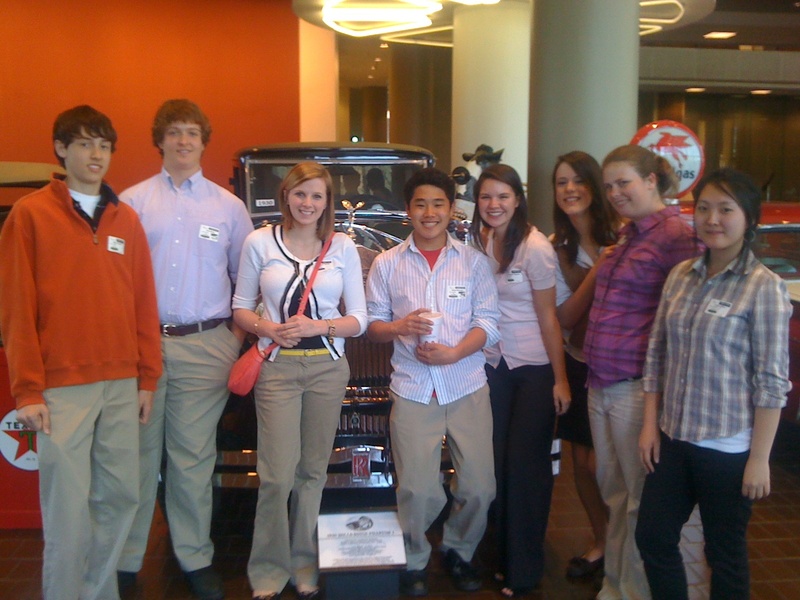 In 2008 I had the privilege of taking some high school students to the headquarters of Chick-Fil-A to visit with Truett Cathy, David Salyers, and a few other executives at this uniquely successful company. Our goal for this visit was to gain insight into how their leadership had created such a healthy corporate culture and consistent profitability. Mr. Cathy's story is well-documented, creating a multi-billion dollar company by blazing his own trail to success: Using a non-traditional franchising model, advocating for business practices that are consistent with the beliefs of the founder, keeping a consistent menu and brand, and utilizing a highly selective process for talent selection and development. He discovered and developed his unique genius, became the best at the world at it, and repeatedly found ways to deliver high value to others. During our visit, Mr. Cathy allowed the students to interview him about his leadership style and the success he had achieved. We talked together for well over an hour as he enthusiastically shared his insights. As I listened intently to his thoughtful responses, a pattern of wisdom began to emerge. What he was most proud of and spoke about with great joy and energy were three key assets that were not found on his company's balance sheet. Mr. Cathy was especially proud of the relationships he had forged both within his company and throughout the world. He had established a culture throughout the large Atlanta headquarters and in every store across the country that is committed to servant leadership. External relationships were also very important to him, cultivating an ecosystem of success with suppliers, partners, and communities. As a writer and speaker, he was especially fond of the wisdom he was able to share with others. He built a company that also became a platform of influence through which he authored books, published articles, and gave many speeches. Generosity is both an attitude and a practice which Mr. Cathy had expertly honed. He was not satisfied with a status quo approach to corporate social responsibility, but instead aligned his "pay it forward" strategy with the mission and goals of the company. How do you define success? What's the end game you want to achieve that will define your life? How will you be remembered? These 3 life-changing lessons I learned from Truett Cathy prompted me to make some major changes in my own life. I resolved to discover my own unique genius, to become world-class at using it, and to build a successful business by delivering extraordinarily high value for others. Like Mr. Cathy, Yabwi is building a mutually profitable ecosystem of relationships, a global platform of influence, and a lasting legacy. After all, isn't that where the joy of success is really found?